I always wanted to learn sewing. This seems so much fun. Wish I could attend the event. Anyway, the article is very well-written and the pictures are very exciting. Great job and good luck. Thank you for a great explanation Men Embroidery Designs . I was looking online for a similar idea and really appreciate it. 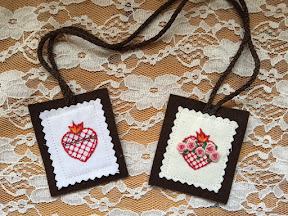 These are some great embroidered scapulars. Keep up the good work.